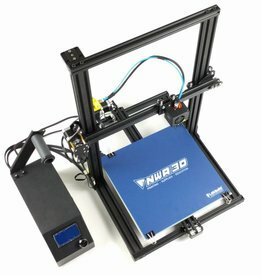 The NWA3D A31 is a simple and affordable printer with a very large build envelope. Its minimalistic design makes it easy to use. 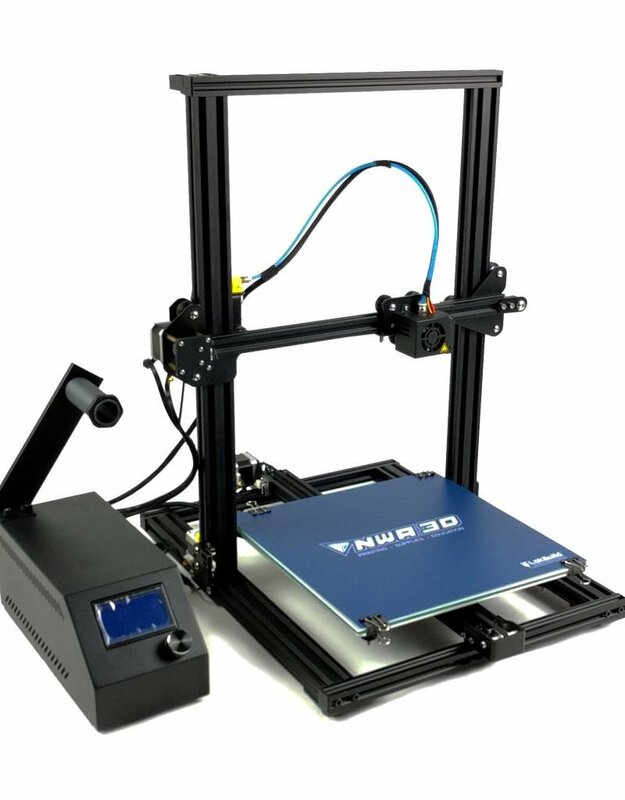 The NWA3D A31 features a V-Track printing system that guarantees reliable smooth prints with little calibration. The single extruder is shielded to prevent accidentally touching the hot tip and it uses a short Bowden style Mk10 extruder drive. The heated print bed features a glass plate to help provide an extremely level print surface. You can print on the NWA3D A31 using a mini USB cable or a Micro SD card. It’s compatible with any RepRap slicing program that can export standard Gcode. The maximum build volume of the printer is 300 x 300 x 400 mm (12 x 12 x 15.75"), with a minimum Z resolution of 100 microns. The NWA3D A31 comes in a mostly preassembled format, which requires some basic assembly. Instructions on assembly are included in the user manual located on the Micro SD card. • Filament Compatibility: PLA, ABS, PVA, HIPS, TPU, Wood, NinjaFlex, Conductive, and more!